Abandoned carts, half-filled-out-and-then-discarded contact forms, and ridiculously high bounce rates from your “money” pages – these are the everyday frustrations that drive business websiteowners mad. If only there was some way to lure these visitors back to your site to finish their transactions. Of course there are ways to accomplish this and in this article we’re going to discuss one that you are probably quite familiar with, even if only from the consumer’s perspective – retargeting ads. Not many business models enjoy a “one-call close” type of sales cycle, and likewise, not too many websites convert visitors on the first visit. Retargeting allows you to continue to nurture a visitor even after that person has left your site completely and gone on to other things, like the fickle weirdos they are. And some good news about retargeting/remarketing ads: they’re pretty cheap, especially when compared against bidding on Google AdWords. Some people and platforms call it remarketing, others call it retargeting. By either name it's a great way to ensure that sales which didn't happen the first time happen later on. In general, first-time visitors to a business website will not convert. They will need to be warmed up for the sale and this is where retargeting comes in! It's a great way to push leads further into the sales funnel. Cynics feel that remarketing annoys sales leads. We don't think so, and the numbers back us up here. This gentle push in the right direction really works and it’s is why we want to share some of the more effective remarketing tips today. Today's e-commerce milieu is very competitive. Only the strong survive. This is why you need to utilize every online marketing tool at your disposal. When you do, you'll edge out business rivals who fail to adapt. It's possible to fumble when it comes to retargeting. We want you to avoid the newbie pitfalls. One example is firing up Google AdWords or Facebook ads and then doing remarketing campaigns which are centered on visits to a website over the past three months. This is an ok strategy, but it's not the best way to approach remarketing. You should try to get maximum leverage from retargeting, rather than investing more effort than is actually needed. So let's look at a more streamlined and successful option. It's better to focus on a smaller group rather than casting your net too wide. When you focus on a smaller group, you may anticipate a conversion rate of about fifty percent, based on an overall audience of millions of people. When you remarket to everyone, you'll water down your brand message. A smart approach is to target users via specific actions that they take while visiting your website. For example, customers who spend quite a bit of time looking at information about a specific product or service that you offer are ripe for retargeting. When you remarket to those people, you'll boost your odds of getting conversions. To remarket, remind the visitors about the value of the product/service that they checked out. Show them how this product has the capacity to make their lives easier. This is a very laser-focused remarketing method. It works wonders most of the time. To explain why this is so effective, let's look into the thought processes of the typical online shopper who has checked out your stuff, but doesn't buy it. This person holds back because he or she doesn't want to spend the money yet and because he or she is not quite sure how the product will help him or her. To retarget these types of hesitant sales leads, smack them in the face with a compelling message that speaks to value. So, create an ad geared toward this segment of your website audience and then use it for remarketing. Deliver it to all who landed on that particular product page. We do recommend creating custom ads for visitors to different pages at your website. Facebook (a primer on Facebook Advertising here) and Google AdWords are the most popular platforms to use when retargeting, and many Blockity professional business websites are putting these options to good use to grow leads and make sales. Another practical way to retarget is to do it based on visit frequency. People who have visited your website a lot definitely have an interest in what you sell. They are getting closer to buying and may need only a minor nudge before converting. To grab sales from these frequent visitors, you should make sure that your retargeting ad shows them how to use the product that they were viewing the most while they visited your website. Also, let them know how beneficial buying the product will be. Since they've already checked it out more than once, they are primed to be convinced. A remarketing ad may be all that is needed. Some entrepreneurs don't understand why they should always retarget regular customers. They figure they already have the clients, so what's the point? This is the wrong way to think about regular customers. For example, if you have email subscribers who haven't bought from you in quite a while and are no longer responsive. An email subscriber list typically has a natural life cycle, whereby new visitors sign up and older ones stop responding. This phenomenon is known as churn. When this turnover takes place, the upsells in your emails may not reach the people that they're supposed to reach. The key to resolving this issue is remarketing to your regular clients. You may do this on the cheap since the ads are very relevant. This means higher CTR. Create an ad which is designed to up-sell regular customers. It should market new products. Some marketers retarget existing customers by letting them know that they are missed. It's a direct conduit to the emotions of the customer and this type of personal retargeting is often incredibly effective. Why? Well, the people the ad is aimed at already like what your company has to offer. Asking them to return is not going to offend them. They'll probably love it. As well, these types of remarketing ads are quite simple to set up. Do the campaign on Facebook or AdWords in mere minutes. For Facebook, go to the Business Manager and then move to the audience section. Then, create a brand-new custom audience. Next, select the option called, "customer file". Doing so will allow you to bring in contacts via Mail Chimp or another similar program, or upload a list of old or recent customers. Now, sort the customer file or automated email program contact list by the level of responsiveness of customers, or how old the customers are. Don't hit those customers who buy from you a lot. Look for "old" (and we don't mean biological age) customers who haven't bought for a while and haven't reacted to emails that your company has sent. You may just be able to bring them back to your website and get sales. When you create lead generation advertisements based on page interaction, you'll find that they give you plenty of leverage with people who may well want to buy in the future. If other remarketing efforts haven't been successful, for whatever reason, we think that trying this method will be a good idea. Right now, there is a great type of lead generation ad available via Facebook. These ads are form-based and they provide lead magnets, in exchange for data about customers, including job types and email addresses. Using these ads is a lot like offering an e-book, a free sample product, or a date with your sister as a lead magnet on your landing page at your business website. Facebook Lead Ads are very natural and intuitive-looking ads. They have a nice appearance and integrate beautifully. They are great way to nurture very cold leads and get them moving through the sales funnel, without hammering them across the head to buy a product yet. Here’s an example of how it works: Your target clicks on an ad which leads him to a lead gen form which is still right inside Facebook. He can convert without leaving ever the familiar social media platform. People don't come onto Facebook in order to view ads. Instead, they browse on the platform in order to find out what's up with people that they know, engage in some trolling and gossip, or to check out the news of interest to them. So, forcing someone off of the site in order to convert may be alienating a large segment of your potential leads – or you’ll get a ton of clicks that never convert – and that’s always a nice treat. This is why leads ads offer so many advantages. They won't pull your lead away from his meme-viewing pleasure but still allow the user to access the lead magnet and convert. Targeting based on Facebook impressions is really smart. To begin making this type of lead gen advertisement, you must define an audience which is centered on page engagement. To make a new audience which is custom, select "engagement" from the options presented to you. Then, select your own Facebook page. Next, look at other options and make some decisions based on what you know about your customer profile. For example, select the specificity of the retargeting effort. You may remarket to anyone who has engaged with one of your Facebook posts earlier on, or engaged with an ad. You could retarget someone who clicked on one of your CTAs or someone who saved a post or page of yours. After you figure out that metric, you may save this audience and then go to the Facebook Ads Manager, where you may make a brand-new lead generation ad. Then, choose "lead generation" as the key objective for your marketing. After this, choose an ad format. We think that utilizing a single picture, slideshow or video is a wise course of action. Carousels tend to be too complicated for these types of ads. A lot of calls to action are not going to spark conversions in this scenario. Now edit your content and your lead magnet for the ad. You'll need to make an offer or an incentive for your retargeted clients. The idea is to get their email addresses. Maybe you could offer them a digital download, or a coupon code, or something along those lines. Make them want to fill out your form. Also, edit the fields of the form and then optimize those fields to suit your needs, based on this particular audience. The form questions should be simple. Limit them in order to get crucial data. Visitors will want to sign up very fast. When you do all of these steps, which are quick to complete, you'll be able to grab leads with ease. Remarketing – The Great Revenue Driver! You’ve built your brand on the best small business website builder on the market, but getting visitors there is only part of the equation. There are lots of window-shoppers and indecisive folks out there. People who wind up on your website are not going to buy right away – but don’t let them slip away like thieves in the night! They need to be nurtured into buying and this is where remarketing comes in. Give them more information about your company and its value proposition via retargeted ads. Help them to feel more secure about the decision to finally buy from you. 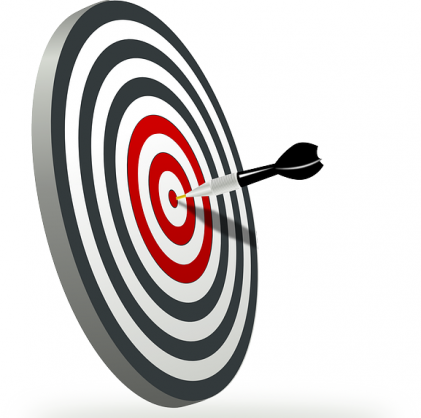 Get the ball rolling by retargeting to visitors who dropped by specific URLs of yours. It's a good way to get started and you may find that it pays off rather quickly. Then move onto the other remarketing methods that we've talked about in this article. Once you hone your remarketing chops, you'll probably notice an upswing in form-fills, social mentions and even inbound emails with specific questions about your products and services. This is when you know you’re your ads are cooking! Considering their affordability compared with regular AdWords (where costs-per-click are starting to outpace your monthly car payment) there's not much downside to this type of promotion – your top competitors are probably already using it in order to drive more conversions. When customers are already interested, getting them to convert is so much easier. So why not get started remarketing today?